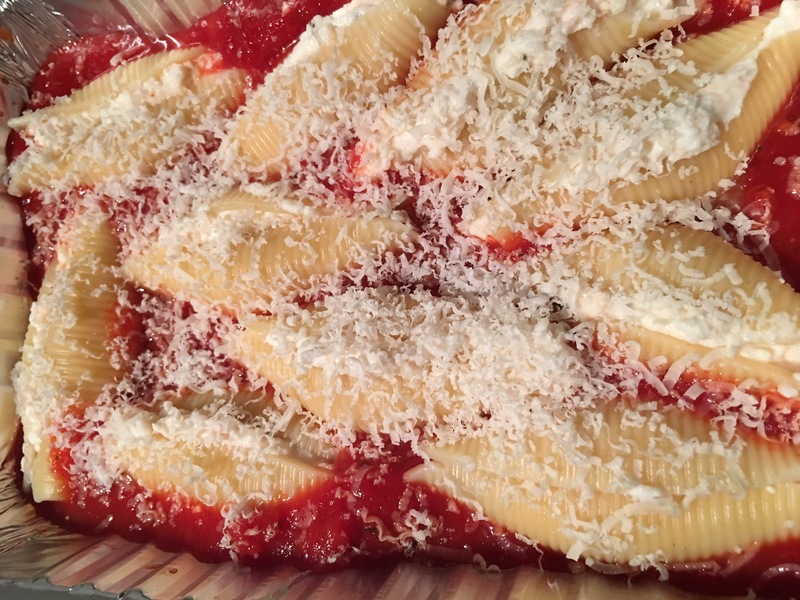 Stuffed shells two ways: cheese in marinara and chicken alfredo – Hurried Home Chef! This is an 80s dish I remember having often growing up. Here I have done it two different ways for either your picky eaters, a dinner party, or two dishes for the week. First step is to boil the noodles, I do use a little salt or a chicken cube to season the water, cook them to al dente, since they will cook a bit more when you bake them. I strained the noodles out of the water, instead of dumping it out into the sink. 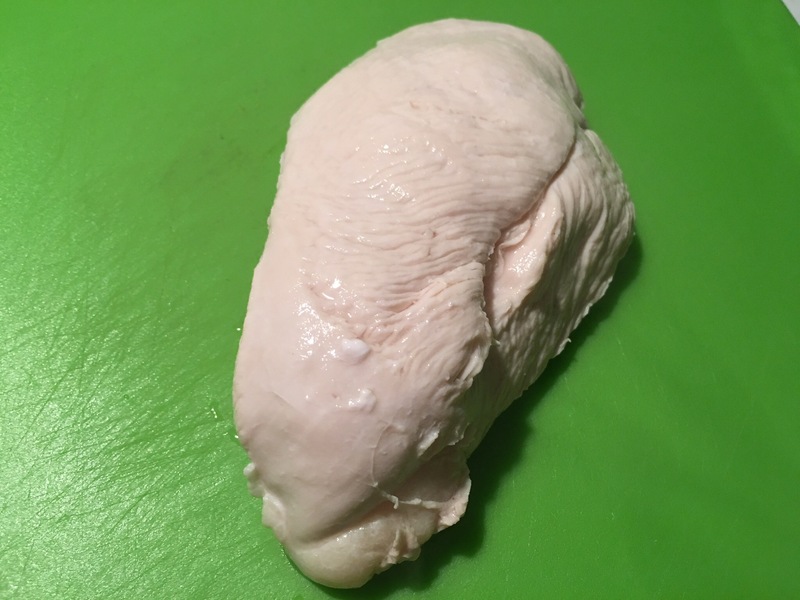 Then I put a raw chicken breast into the boiling water and turned off the heat, covered it and let it poach. After about 15 min, I took it out and let it cool. You can give it a chop and be sure it’s cooked. Then dice. 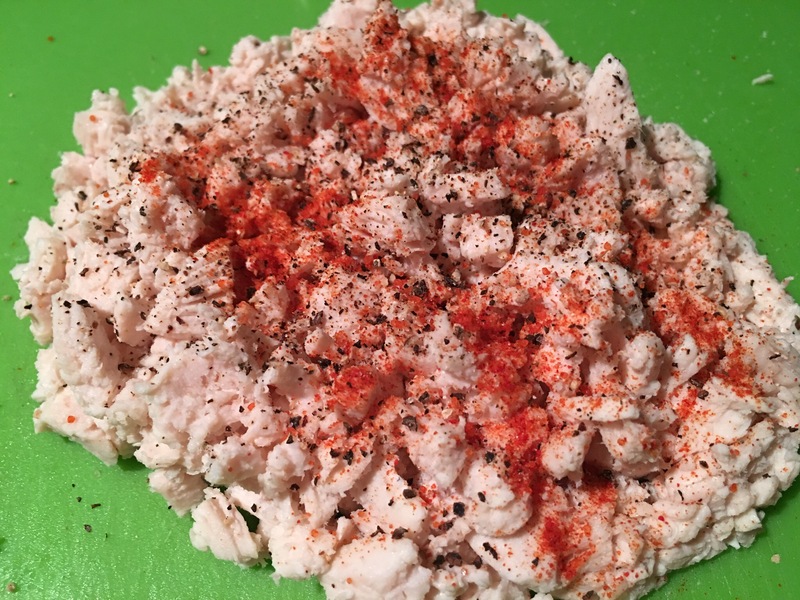 Then I season it well, not too much salt, because of the cheese. Black and habanero peppers to your tolerance. Then mix with ricotta cheese, you can add a little parm and parsley if you want. In another bowl, mix the other half of the ricotta, with parm, the peppers, and basil. 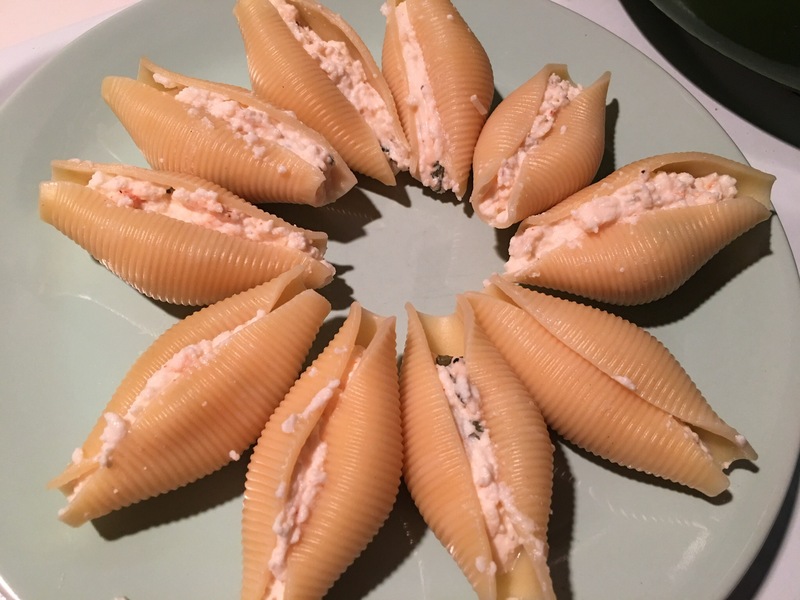 Here I have stuffed the cheese filling. Then add some marinara sauce to the bottom of the pan, you can use a jar or make it from scratch, see the other post for that recipe. 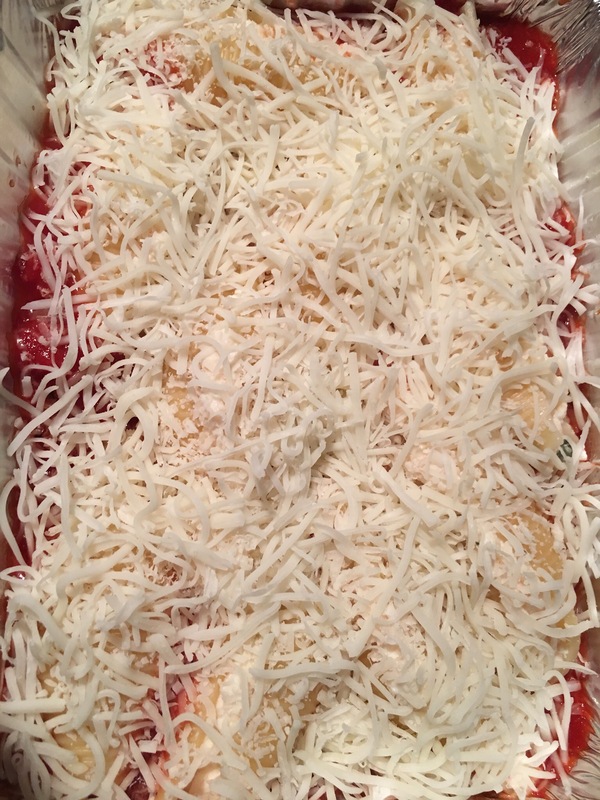 I put a lot of sauce on the bottom, then grate some parm on top, then cover with mozzarella. 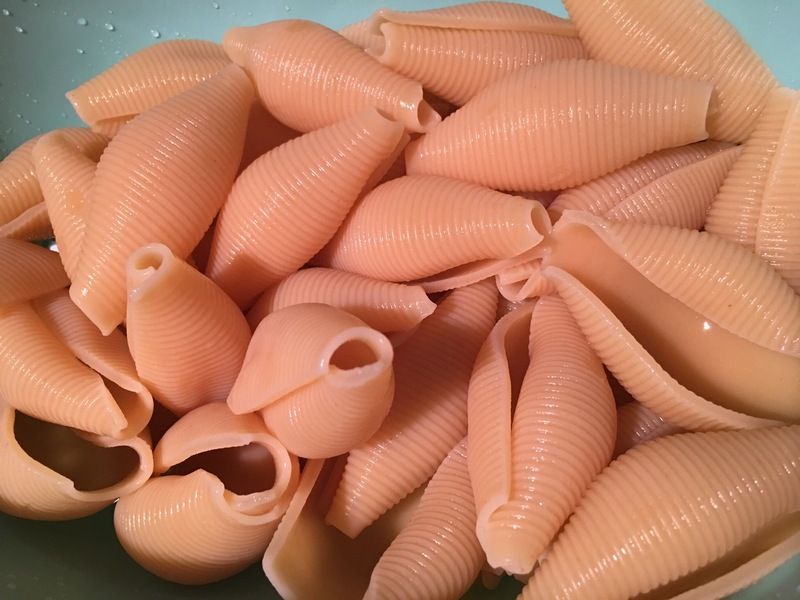 You should cover the noodles with the sauce so they don’t dry out. 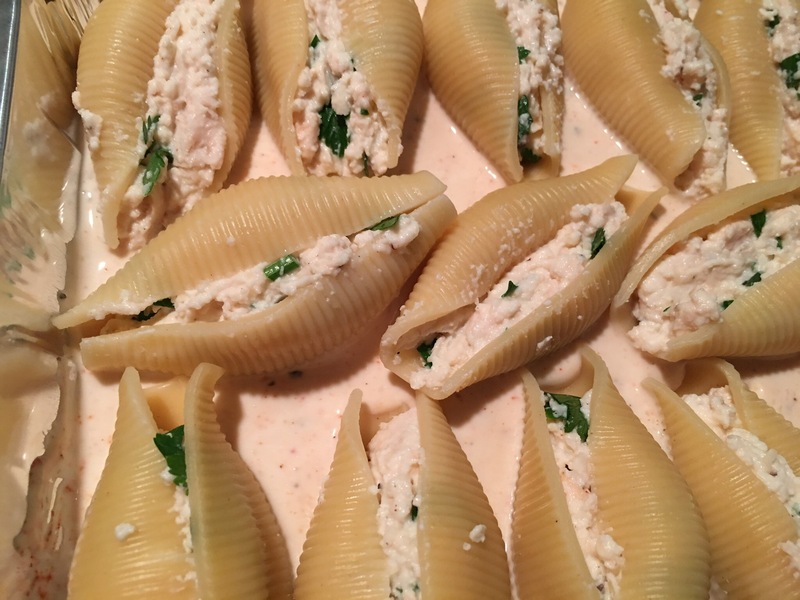 Then in another dish, put your alfredo sauce at the bottom, and then stack your chicken stuffed shells on top. 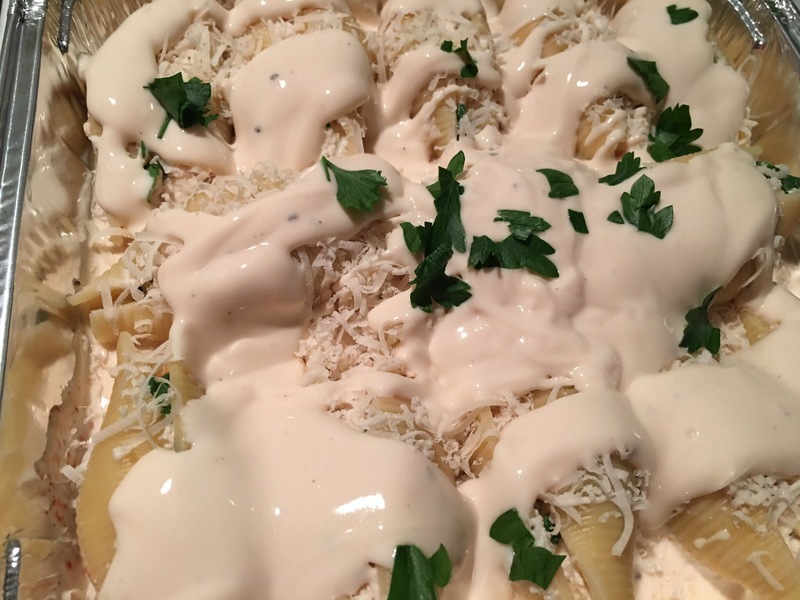 I topped with the rest of the alfredo sauce and some grated parm. Both of these can bake at 350 for about 25-40 minutes since it will be cold from the fridge. You can also make some garlic bread if you feel like carb-ing it up! If you’re using frozen, they usually want 425 for 10 minutes. But you can cook it at 350 for about 25 instead. That way it all finishes at the same time. These dishes got shipped to another house before they were cooked, but I did get the left overs and they were good!